As a business leader, few things are more important than understanding what your customers think about particular topics. And while there are plenty of ways to tap into their thoughts, online surveys are among the most effective tools you have at your disposal. If you’re like most marketers, you’re highly opinionated. You have very specific ideas regarding what should and shouldn’t be done. But have you ever paused to consider that your opinions might not be right? (Gasp!) As smart and experienced as you may be, you’re only human – and your brain is limited in its capacity to think and reason. It’s also controlled by dozens of heuristics. Mental heuristics are little shortcuts that the brain uses to reduce the amount of mental effort required to make choices. They’re also leveraged in an effort to speed up decision-making and solve complex problems with greater efficiency. The human brain is also subject to its fair share of cognitive biases. These are tendencies within the brain to think or process information in a certain way. Sometimes these biases lead to good conclusions. But often, they lead us astray. The problem with making all of your marketing decisions based on gut instinct or personal experience is that you end up making a lot of inferences, assumptions, and narrow-minded choices. This results in marketing actions and campaigns that don’t yield the brand much value. So, let’s get back to surveys. Within the context of marketing, surveys help provide objective information through specific data. So instead of relying on how you think your brand should act, you can use specific customer data points to reach unbiased conclusions. That’s the power of surveys. There’s no sense in taking the time to create your own surveys. 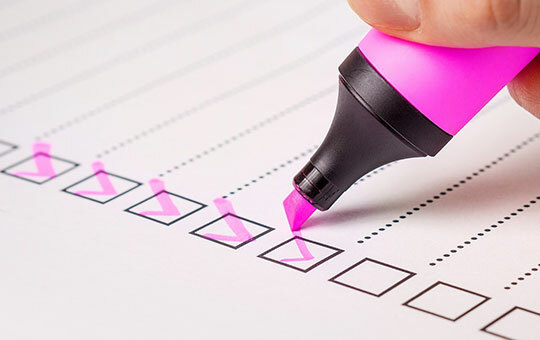 There are plenty of streamlined solutions that automate the process and allow you to develop fast and effective surveys. It’s also smart to look for survey solutions that have in-depth features and analysis tools. This will save you time and money. Survey questions need to be clear, specific, and simple. Close-ended questions are always preferred, though there are a time and place for open-ended ones. You never want a survey respondent to feel overwhelmed. Unfortunately, a lengthy survey will do just that. And when a respondent is overwhelmed, one of two things typically happens. Either they quit the survey prematurely, or they rush through their answers and provide inaccurate responses. Formatting can be used to make a lengthy survey seem more manageable. Instead of showing all of the questions on a single page, you can break questions up into groups and provide respondents with a progress bar that encourages them to continue. You’ll also enjoy better results if you cut out unnecessary design elements and use negative space to simplify the overall feel of the survey and keep respondents engaged. Nobody is saying that marketing is all about data. There’s certainly an art to marketing, and you don’t want to discount the importance of “feel” and experience. Having said this, be cautious with how much you rely on subjective information and intuition. 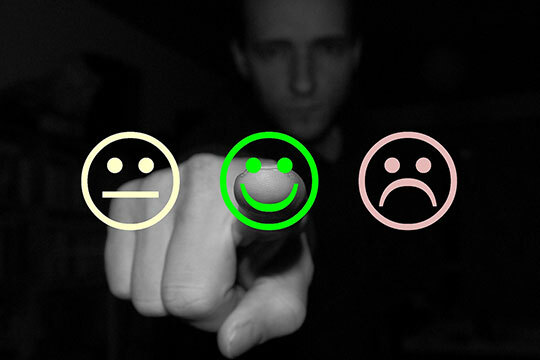 Data from customer surveys can help you determine how your customers feel about specific issues so that you can take action and engage them in more meaningful ways. Prioritizing data will get you further in today’s marketplace.